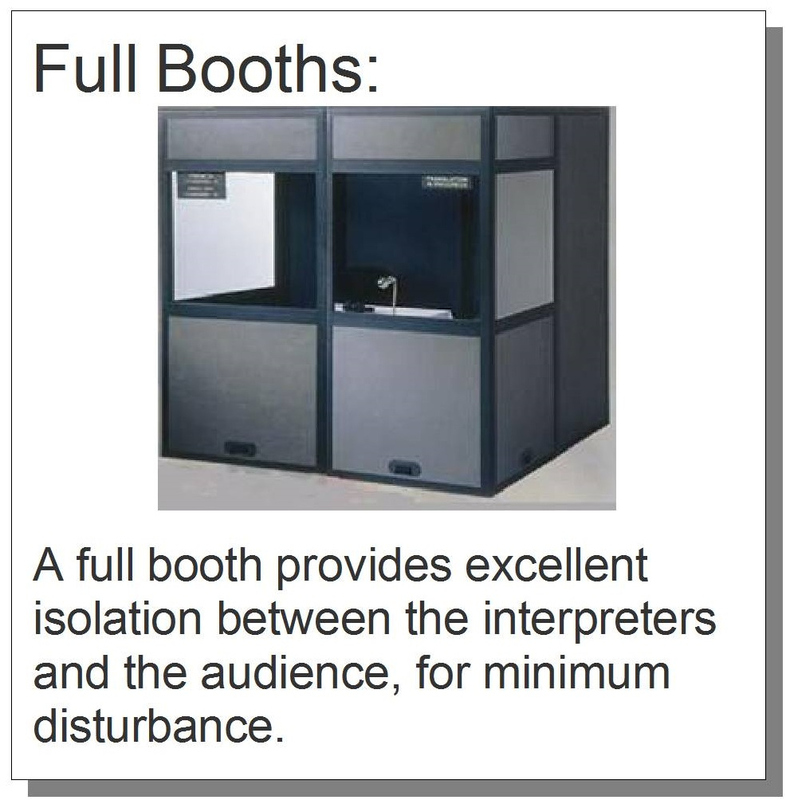 We offer fully-enclosed booths for 2 interpreters. These booths do a great job of isolating the interpreters from the audience. This is good for the audience (they won't be disturbed by the interpreters' voices), and for the interpreters (the sound of the audience won't distract the interpreters). For maximum sound isolation, ask for our ISO 4043-compliant booths! For events on a tighter budget, we also offer table-top booths. Of course, we also hire professional simultaneous interpreters to work inside the booths, and rent the electronics that are used with the booths. For more information on equipment, Click here. We also SELL interpreter booths.